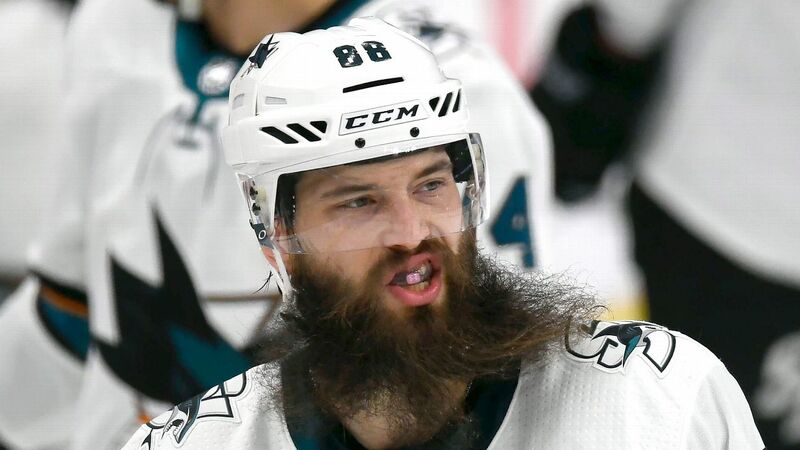 The Stanley Cup playoffs are well under way, which means our fixation with facial hair is growing exponentially. The NHL playoff beard is an itchy but celebrated tradition whose roots can be traced back to the early 1980s. The New York Islanders have been credited with launching the tradition during their illustrious run that resulted in four Stanley Cups between 1980 and 1983. There was little fanfare at the time; a few guys started growing out their beards, and the superstition sprouted from there. "That's it," Hall of Famer Clark Gillies once told me. "In fact, we didn't even realize we started it. Only recently did people start saying we were the ones who should stake claim to that. It really turned into something much bigger than I could have imagined." Indeed, beards have become a season-long growth industry in the NHL -- but they reach peak foliage during the postseason. So ESPN surveyed a handful of players to get the inside scoop on who has the best (and worst) beards, whose beard game is bush league and which players have the most bizarre grooming habits. Who has the best beard in the NHL? Tom Kuhnhackl, Pittsburgh Penguinsright wing: "Are we talking about best-looking or worst-looking? If it's worst, maybe [Patrik] Laine. If we're talking best, probably [Brent] Burns, or maybe even [Ian] Cole, because his is so thick. Coler has a really thick beard. Like really thick." Patrik Laine, Winnipeg Jetsright wing: "I like [teammate Mathieu] Perreault's beard a lot. I'm pretty jealous of a beard like that, to be honest." Mathieu Perreault, Jets center: "It would probably be me, but I can't say me. So I'll say Brent Burns." Evander Kane, San Jose Sharks left wing: "We have the two best beards in the NHL on this team, [in Burns andJoe Thornton]. I'll go with Jumbo, though. His is a healthy beard. It's well-groomed. I like the veteran gray that comes through in it. It's a distinguished look." Chris Thorburn, Blues: "The best beard in the NHL right now is Jumbo Joe Thornton's. You just admire how big it is, and full. Burns' is long, but it's kind of straggly -- whereas Thornton's is thick. All of this is besides my beard, of course." Brayden Schenn, St. Louis Blues: "Burns. His ability to take care of it, groom it -- I'm not sure if he's dyeing it, or whatever he's doing. But he's doing a great job." Nashville Predators defenseman Ryan Ellis:"The two guys in San Jose are up there. I admire their length, their willingness to keep them for a long time." Burns, Sharks defenseman: "There are a lot of good ones around the league now. But Jumbo's is the best." Predators centerColton Sissons: "Ryan Ellis'. It's red and full and beautiful." Nikolaj Ehlers, Jets left wing:"Definitely not Patty [Laine]. Of course I like Thordog's -- Chris Thorburn is from St. Louis. And of course Perreault's as well. Yeah, I've put thought into it." John Carlson, Washington Capitals defenseman:"I like more clean-cut look, like Braden Holtby's, versus, say, the wild-man look." Whose is the greatest beard of all time? Kuhnhackl: "We literally just had this debate [in the dressing room]! Lanny McDonald's. It's not really a beard, but a really thick mustache. I wish I could grow that. His facial hair was epic." Ellis: "Lanny McDonald comes to mind when it comes to his mustache. Everyone knows him, and knows him with that mustache." Thorburn: "I'm going to have to stick with my era and say either Thornton or Burns. Both of those are pretty epic, they have been growing them for a long time, and it would be weird to see them without it." Sissons: "The best beard of all time? That's tough. I mean, Thornton has a pretty iconic beard, so let's give him some love. Schenn: "Burns, Jumbo Joe. Jordie Benn had a nice one for a while, too." Ehlers: "Thornton's beard is obviously pretty crazy, but pretty cool is well." Perreault: "Burns, probably. I mean, have you seen that thing?" Burns: "[Mike] Commodore's was pretty good. Red, big." Bryan Rust, Penguins right wing: "Are we talking as far as the NHL goes, or history in general? I mean, Abe Lincoln had a pretty nice one going. He'd look good in the NHL playoffs." Who on your team has a hard time growing a beard? Kane: "I will nominate myself. When I was 18 I thought, 'Well, by the time you are 24, you'll be able to grow a full beard.' Well, I'm 26 now and it still hasn't happened." Kuhnhackl: "[Jake] Guentzel for sure. Everyone else can grow theirs a little bit, but he's gotta work on it." Perreault: "Patty [Laine] is pretty bad. We give it to him all the time, but he doesn't care. Nothing fazes him. The beard is a great example of that." Carlson: "Andre Burakovsky.Nicklas Backstromhas actually grown up a bit. Burky is Nick seven years ago." Sissons:"[Eeli Tolvanen] is going to struggle. He's got some years to go to find his way. Kevin Fiala struggles a little bit. Those two still have the baby faces." Fiala:"Probably me, but I don't really care. I'm the youngest guy, until Tolvanen came around. Actually, Tolvanen has a hard time, too. I don't know if he has any hair yet. We can hang out together." Laine: "Jack Roslovic. He's still young. But he's trying, he's trying his best." Schenn: "Tage Thompson. He's still trying to find his way, and find his first whisker." Have you seen any strange beard grooming habits or routines? Sissons: "We have some beard oils being passed around. I partake. It's getting to that point, in the second round, when you gotta keep it looking fresh and put a little bit of moisture in there." Burns: "Not anything crazy, but we've got good stuff here. Good beard care products, good oils." Kane: "You start to see more and more beard oils around the dressing room --essential oils, beard oils, shampoo that are specifically for beards. I'm not too familiar with them, because, like I said, I can't grow one myself." Laine: "I wash and shampoo mine, of course. I'm not that gross." Kuhnhackl: "I've never seen anyone try anything. I'm sure they probably do it at home when nobody can see them. You don't want to get caught." Perreault: "Shawn Matthias always has some oil. He's big on it. I've tried, but it's not really for me. Rust: "I don't think guys use products in public so often, it's something they do in their own home, guys might do some things there. But I've never seen anything in the locker room." Schenn:"Not on this team, no. But Sean Couturier used to use some oils or something like that when he was growing out his beard last year. I don't know if it made it smoother; I'm not out there touching his beard. But I'm sure it helped. If you have a lot of hair on your face, you have to take care of it." Predators center Nick Bonino: "I have some beard soap in my stall that somebody gave me. I haven't used it yet." Thorburn: "I don't use any of it. I've been given a bunch of beard oils and all of that stuff, but I've never tried it. I'm all natural." If a guy can't grow a beard, are playoff mustaches, mullets or mutton chops acceptable? Kane:"Mustache, yes; mullet, no. I have a mustache. Not a fan of the mullet. Those are my preferences." Kuhnhackl:"Mullet, 100 percent. A mullet would be OK. I actually played with a guy, when I was in the OHL, who couldn't grow a beard. So in the playoffs he just had a mustache and a mullet. He looked hilarious. It was great." Laine:"I like a mullet better than a mustache. It's not good if you can't grow a beard in the playoffs, but I'll take a mullet if you need to. Perreault: "Yeah, I mean, they've got to let it grow. So if it's only a mustache, then so be it. Rust: "I think just do whatever it takes. Do whatever you need to do." Sissons: "I mean, if you could pull the mutton chop off, that would be pretty epic." Ellis: "You just let whatever goes, go. That's what the playoffs is for. It's fun, the deeper you get, to see guys who never grow them finally have something on their face." Schenn:"I'm OK with the teen 'stache. That's rockin'." Thorburn:"They might have to do something, I don't know. I've only played four playoff games, so I can't really talk from much experience. But it is always fun to see what guys come up with. Creativity is a good thing. It shows a lot about the personality and the person." Carlson: "I think all of the above. You do whatever it takes. You gotta support the team somehow." Senior writer Greg Wyshynski also contributed to this story.